Opened up quietly right after lunch today after an invitation-only opening ceremony. 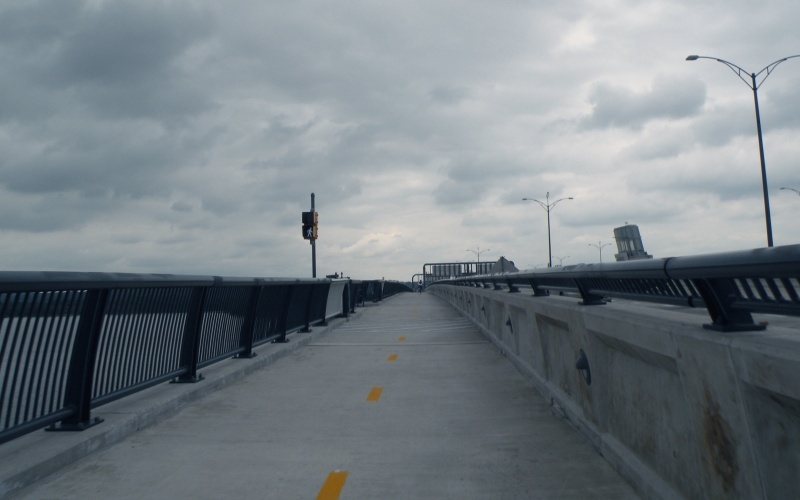 I was in the right spot and was one of the first bikers across the bridge. 'Course, doesn't connect to much on the Maryland side. The connection to National Harbor is still under construction. 126 photos later, a blog entry and photo page are now up. Though I have a question. In this picture, what is the purpose of the walk signal? Nice cycling paths, almost Dutch if it wasn't for the yellow markings.